"Our overall philosophy is that farming within natural processes is important for the health and welfare of our livestock, environmentally, and in terms of biodiversity, but it is also the most profitable way as well." The farm is situated in the Yorkshire Dales National Park, largely in the limestone uplands. My grandparents (dad’s parents) moved here in 1950, it was a tenanted farm at the time. My mum and dad bought it in the 80s, they did a bit of diversification and converted one of the cow sheds into a bunk barn. My partner Leigh runs both the bunk barn and a holiday cottage we have. It wasn’t until about 2001, as a result of the foot-and-mouth crisis, that I came back to farm full time at home. At the time there was just sheep on the farm - Swaledales that we crossed with the Bluefaced Leicesters to produce mule lambs. Then in about 2003, as part of the Limestone Country project, we introduced 19 Belted Galloway heifers and a bull (primarily to help regenerate the delicate and important habitats in the National Park). At that time there was about 400 acres and we’ve since lambed about 400 sheep (Swaledales, Bluefaced Leicesters and, more recently, Black Wensleydales). Since then our land has increased as a result of renting and buying, to just short of 1200 acres. The Belted Galloway numbers have risen to about 150, and on the converse of that the sheep have declined or been reduced from the 400. We’ll probably lamb something in the region of 150 sheep this spring (2019). 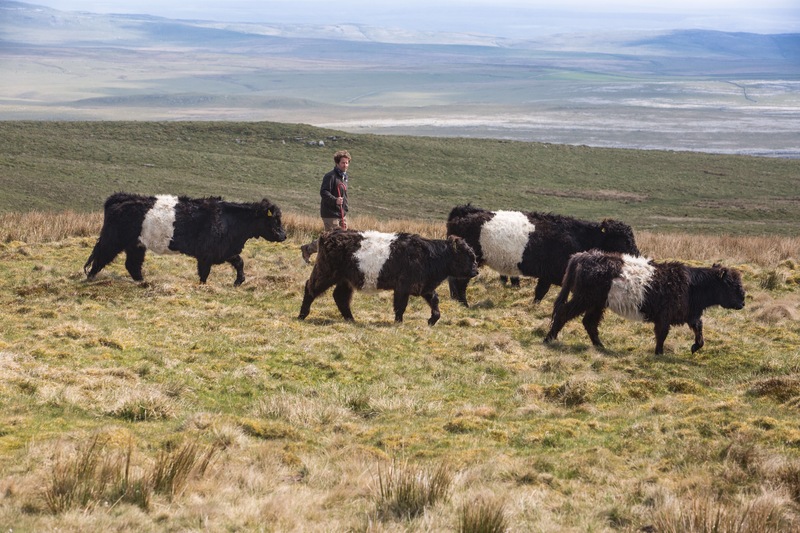 The Belted Galloways live outside all year round and are fed no concentrates as per the Pasture Fed Livestock Association (PFLA) certification requirements, and never have been (we are certified suppliers of PFLA beef and lamb). They were farmed extremely extensively from the word go, but the sheep for a long period were farmed what you would term as ‘conventionally’ - we fed a lot of concentrates to the sheep and lambs in the summer, but now they almost exclusively graze grass. The biggest difference we have made on the farm is in the reduction of sheep numbers, and lambing them later. We are now almost exclusively using grazed grass; using what’s on the farm rather than relying on purchased inputs we put in to the sheep. In about 2012, we had a bit of an epiphany, partly caused by joining the PFLA, and as a result of that, going to the Oxford Real Farming Conference - the two combined made us look at the business a bit more closely. What we basically found was that the extensive cattle that were roaming the fields were making money and the sheep which we had kind of regarded as the main enterprise on the farm were at the very best breaking even. So that made us have a bit of a shift... Since then we’ve tried to manage the sheep with lessons we’ve learnt from the cattle enterprise - and as a result of that we’re now farming the same breed of Swaledale sheep but in a way that reflects how we farm the cattle - much more extensive and no concentrate usage or a lot less (some get it at certain times of the year as per PFLA criteria). As a result of that we feel we have a much better balance in life than we had 6 - 8 years ago in terms of our time, and there is far greater environmental benefit to the farm. 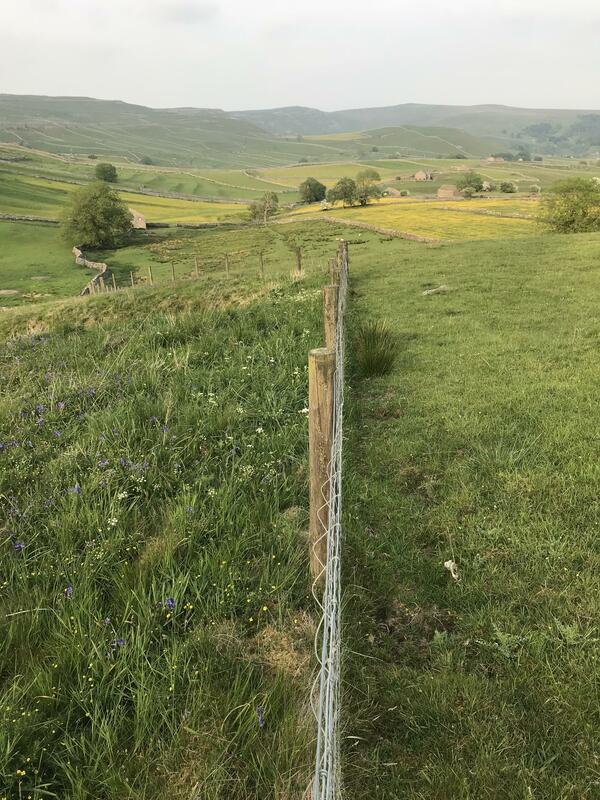 We feel we are farming much more in balance with the natural environment; for example the grazing and trampling action of the cattle helps preserve the diverse range of flora, reducing the long grasses and opening up pockets of soil allowing species to successfully re-seed. But the changes we have made i.e. extensification have benefited the bottom line as well because we have managed to reduce production costs across the piece. Just taking that pressure off the sheep in terms of increasing the area they are able to graze means they are competing less with each other and there is less grazing right down to the bone. We are much less reliant on wormers and we don’t use any routine medical treatment now (it used to be 6, 7 or 8 a year we treated them with). This takes the pressure off the pasture land - by default you get a biodiversity improvement, you probably get carbon capture benefits, and you get more invertebrates in the grass and soil in swards that are grazed a minimal amount rather than right down. I think that overall on the farm it has had a hugely beneficial effect – not giving the sheep all the treatments means they’re healthier as a result of that – there’s less pressure on the farm, less on us, and less on the sheep, and they’re able to exhibit their natural behaviour. Reduction in stocking rates mean we don’t have to necessarily produce as much hay or silo which I think is beneficial both in terms of costs and reducing energy and carbon. This is in line with some of the principles of holistic grazing management that many PFLA members follow - we haven’t adopted it hugely as it doesn’t ‘fit’ the farm in some ways, but we have been saving up grass for winter grazing rather than making hay in the summer. What’s going to be really important in terms of demonstrating we’re providing public money for public goods is we’re going to have to start monitoring to a far greater extent so that we’re able to justify to wider society that, not only are we providing these public goods, but that our meat is produced in an environmentally sensitive way which doesn’t impact on the climate. Monitoring that to provide the justification is going to be important as we go forward and will almost become a marketing tool. We are now looking at how to manage the farm to further enhance the biodiversity on the farm, by grazing it slightly differently to how we are now, which might even mean reducing stocking levels again. Cattle wise, we’ve probably got to the upper end of where we are at in term of rates so we can tweak those back a bit. 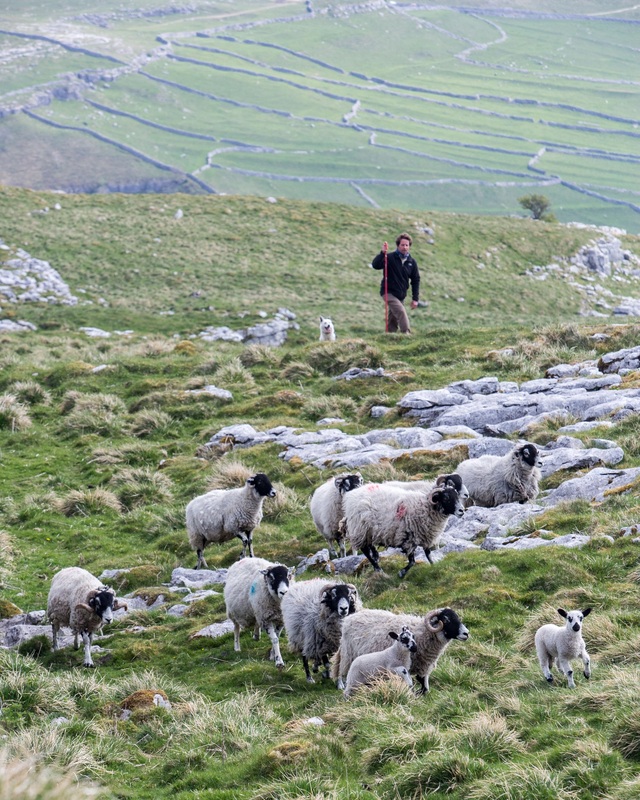 Sheep wise, we’ll probably reduce the numbers again and look again with the emphasis being on preserving the natural environment and biodiversity. That in itself is going to take us down a really good route of helping not only in terms of mitigating climate change, carbon sequestration and flood management, but also being more beneficial in terms of the sorts of payments coming from the Government. What really helped make the decision and prove to us that the cattle weren’t just these hairy beasts running around on the hills doing their own thing, but were beneficial and contributing something to the bottom line (and the sheep weren’t), was using an account package called Xero. It allowed us to extrapolate and separate information out from each other and measure each individual enterprise. We were encouraged to go down that route by our accountant and now try to use it to a far greater extent. It allows us to get a much more accurate measure of how individual enterprises within the business are performing, so we’re making decisions from a more informed perspective. We’ve learnt a lot over the last 10 -15 years about how we manage the land and can now be proactive and manage it in a way that enhances biodiversity on the farm. We are starting to see the results of that and enjoy those results to a far greater extent. The natural environment has become critically important to us now so all the decisions we are making on the farm are about how does that impact on wildlife…? how does that impact on climate change…? At one point the driving force would be how can I produce the best mule gimmer lamb ever, whereas now it is probably how can we create a farm that we can get so much enjoyment out of from seeing certain species appear. We’ve learnt lessons that means we can proactively make this happen, so want to go further down that route. It is a tricky thing to do given the area that we are in - we are part of a group of peers who do a lot of the same thing; making the decision to break out of that and go down a different route is not hugely difficult, but the response to the decision from neighbours can be one of disapproval! 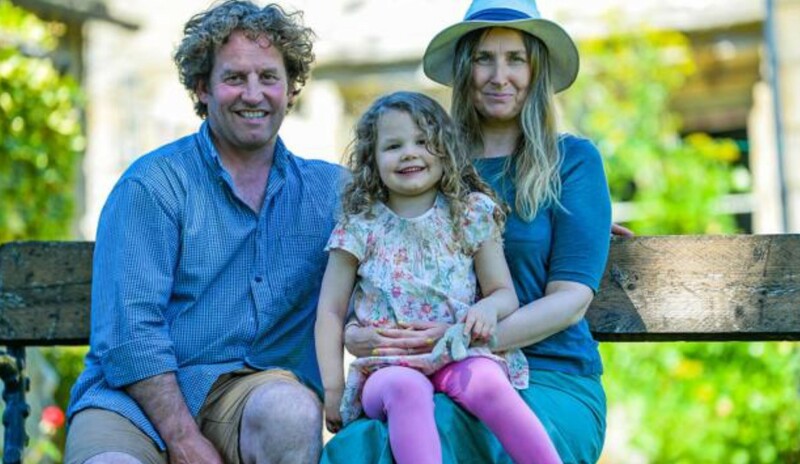 It is very important to us as a family and as a business that we farm within the constraints of the natural processes, otherwise we are damaging them. We have absolutely convinced ourselves that to farm within the natural processes is the most profitable way to farm as well. To try to break out of that and increase the natural capabilities of our farm would get us into issues that would conflict with the natural environment. Even though we would possibly be able to increase production, it wouldn’t necessarily result in a greater profitability for the business. We’ve been really encouraged by all the things coming out of the Government in terms of the 25 Year Environment Plan, the Health and Harmony report that came out last year, and more latterly the Agriculture Bill which I believe fits all farming models wherever you are in the country, but I think fits the upland model and National Park areas really well. I feel that anything we can do to reduce our carbon and energy use (even things like making hay and moving away from using plastic for big bales), will contribute towards helping to reduce our impact on climate change. But while reducing it is important, we need to also look at ways of managing the farm, through our soil management and grazing strategies for example, in ways that can help with carbon absorption. Although slightly perverse, it's quite feasible to think that a farm's ability to sequester carbon has more value to society, and therefore more value to the farmer, than the food we produce. Monitoring the contribution of each individual enterprise on your farm will mean you can make management decisions from a much more informed perspective. You have to learn to not be worried about what other people might think about implementing your decisions, what is important is doing what you believe to be right for your business - your situation, your farm, your family. 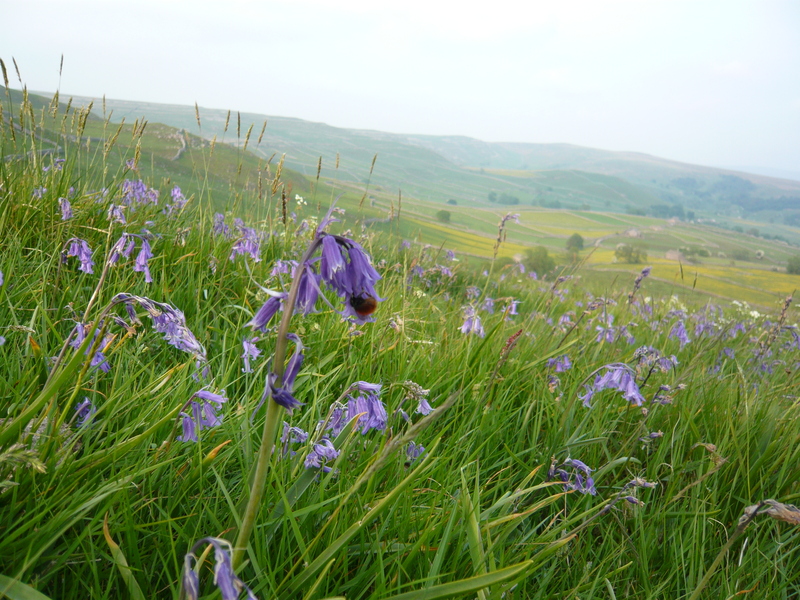 Reducing stocking rates and extending cutting dates until later in the summer (which is possible when stocking rates are reduced) can have a big positive impact on farm biodiversity and profitability.